As I mentioned last week, I walk to work under gracious old trees. Depending on my route, I can stop at one of any 10 coffee shops. Given that the dew point hit 82 last week, hot coffee hasn’t been too appealing. However, one of my neighborhood coffee shops, Espresso Royale has the ultimate hot weather drink: the Polar Cap Lite (or Regular). 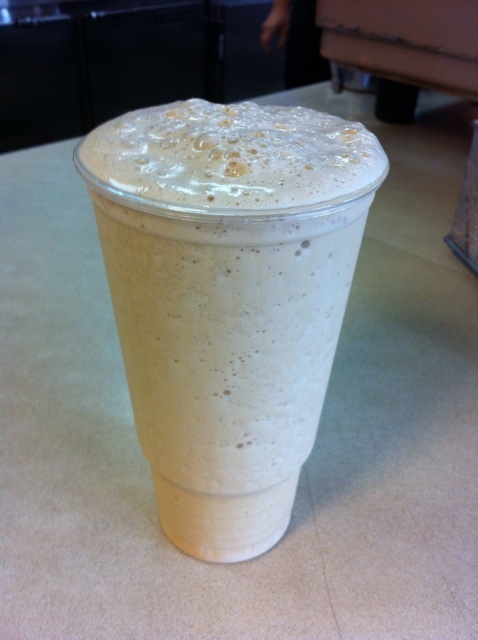 They hand blend–from scratch– cold coffee, ice cubes, and milk into the ultimate, adult slushy without any sugar. Cheap, it’s not. Refreshingly dynamite, it is. But like much of the state, summer in the Saintly City means road construction. I know the new sidewalks, curbs, and paving will be lovely, but there are hardly any streets on my route that aren’t torn up. Along side of Espresso Royale where Fairview Avenue usually hums with traffic is a trench — the entire road bed is dug out to about 5 or 6 feet below “road level.” In other words, a major city artery is closed. All those thirsty drivers are buying coffee somewhere else. To reward their loyal customers, Espresso Royale is offering double punches on their popular Buy-10-Get-1-Free Reward cards for purchases before 10 am during “construction season” (e.g. now until the snow flies). If only I were a morning person. 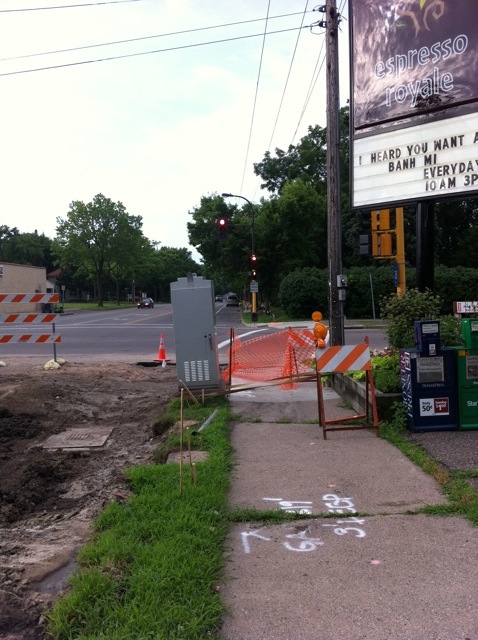 So get up early and go support yet another St. Paul business hit hard by road construction.